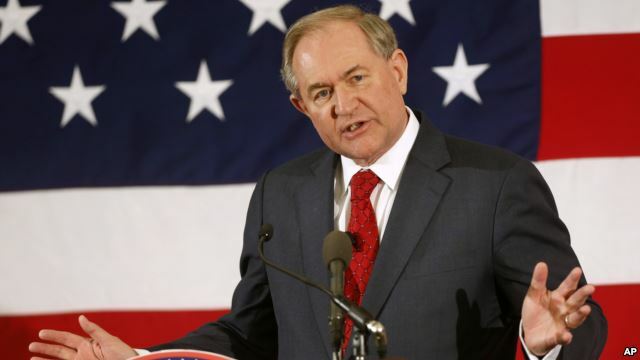 Former Virginia Governor Jim Gilmore filed the paperwork on Wednesday to join the race for the Republican presidential nomination, according to the Federal Election Commission. Gilmore, who briefly sought the 2008 Republican nomination before dropping out, is a former Army intelligence officer; served one term as Virginia's governor, from 1998 to 2002; and was the chairman of the Republican National Committee in 2001. It was not clear whether Gilmore will participate in the first official Republican debate, on Aug. 6 in Cleveland. The top 10 candidates in national polls will take part in the prime-time debate, with the other presidential hopefuls participating in a forum earlier in the day.